You're not an "agent" of a real estate company, you're not a "salesman" for an insurance company. You don't "belong to" any company for life. With your personal domain, you are advertising you on your business cards, brochures, signs or any other form of advertising. If for some reason you change companies, your brand goes with you. Your personal domain can be an extension of your business card. You are no longer limited to a 2x3 piece of paper. You can now have larger photos, more text, it is limited only by you imagination. Have you ever Googled yourself to see what comes up? I think we’ve all Googled someone new who we’ve met, personally or professionally, to find out more about them. Think about what personal branding can do for you. If you have a new customer, a job interview, a meeting with someone special, chances are they are going to be curious enough to see what they might find out about you. You will be Googled. Plus now people will find you before they meet you. More and more customers are using Google to find businesses instead of the Yellow Pages. Everyone should have their own domain name. Your domain name is the center of your Internet identity. If you use a free domain name or a free page on your company's domain, what will you do if they go out of business or you change companies? You can still use your existing website. Your new domain name will automatically forward there. But you control it and you can change it at any time. This is important: Every business person should have their own domain name! Most of our clients already have a website, but it belongs to their company. We provide a simple domain forwarding system to have your personal domain name and email address without the work of building your own complete website. Click this button to pay for your domain forwarding and free email forwarding service. 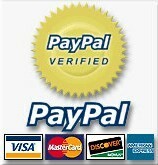 You will be taken to PayPal, the Internet's largest and safest credit card processor. They will process your order securely and we will have no record of your actual credit card number. Your will be billed for the one time, set up fee and will be billed $1.95 each month unless you cancel. You may cancel our service at any time. The Fine Print: All sales are final. No refunds. We are not responsible for your typographical errors. Although you can register a name with up to 63 characters, you have to keep in mind that people need to be able to remember it, and easily type it into their browser. Try to register the shortest name that your clients and visitors will associate with you. There are many different extensions available right now. For real estate, we recommend a .com suffix. It is the first extension that most people try when searching for a Website. Also, since it is one of the oldest extensions, .com shows that your business has been around for a while and that you have a well-established presence on the Web. If you use the name of your broker or franchise in your domain, you have the same problem of what happens when you change companies. Thousands of domain names are being registered every day. You must register soon unless you want to get stuck with "the-domain-name-that-no-one-wanted.net". Get yours now before you loose the opportunity to get the name you really want.